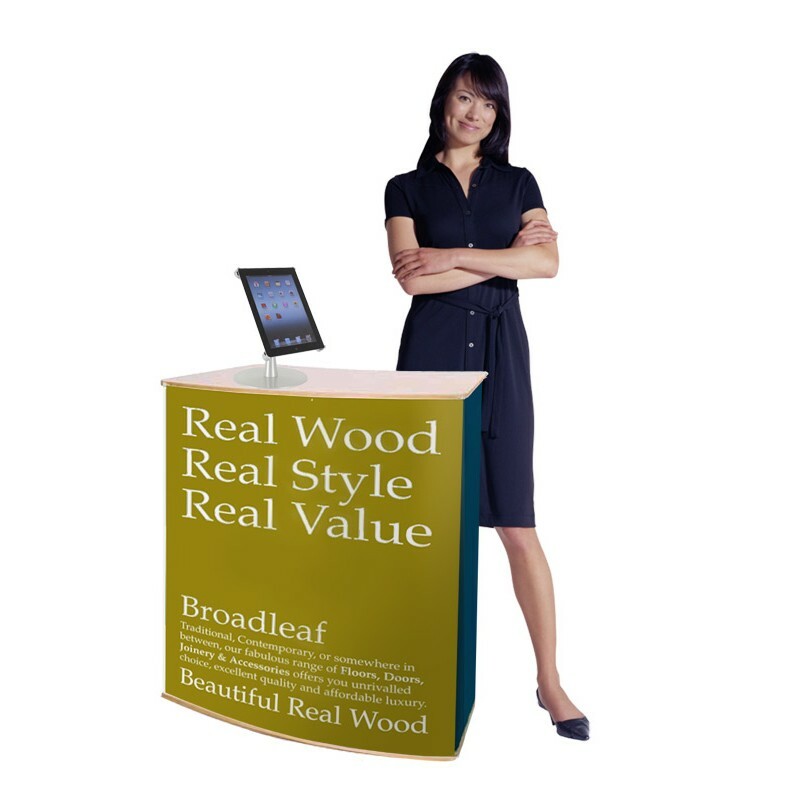 This portable desk provides the perfect place for welcoming visitors to your trade show or exhibition stand, and the load bearing design allows you to place a monitor or laptop on the countertop, or use the workspace to write down client details and sales leads as they come in. Strong and robust, yet portable and lightweight, the desk is made of MDF, and can be assembled and collapsed down quickly and easily without the need for tools. The desktop is available in 4 attractive laminate finishes – Beech, Black, White or Silver – and the counter is load bearing up to 75kg, making it a sturdy and reliable work surface. 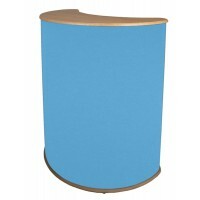 The front of the stand features a hard wearing loop nylon fabric, but can be instantly upgraded for a customised display with a bespoke graphic panel. Attaching in seconds to the front of the workstation with Velcro, the graphics panels are printed in house using high quality inks and premium materials to ensure the colours are bright and vibrant, images are sharp and clear and text is easy to read. 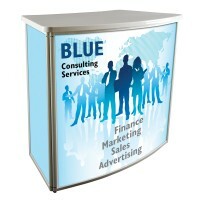 Increasing brand awareness and adding a professional looking finish to your stand space, the workstation makes a great meet and greet or reception desk, creating an impressive first impression to visitors. The portable desk can be supplied with an optional carry bag or protective carry case for even easier storage and transportation, and other options included cable management, lockable doors and an internal shelf can also be arranged – please call for details.